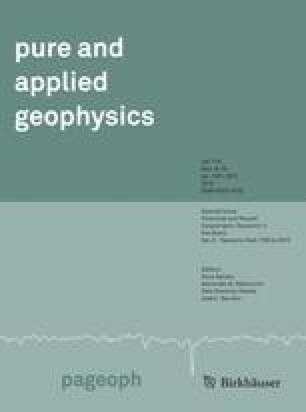 Estimating permeability from NMR well logs or mobile NMR core scanner data is an attractive method as the measurements can be performed directly in the formation or on fresh cores right after drilling. Furthermore, the method is fast and non-destructive. Compared to T1 relaxation times, commonly measured T2 distributions are influenced by external and internal magnetic field gradients. We performed two-dimensional T1 and T2 relaxation experiments on samples of Rhaetian sandstone, a rock with low porosity and small pore radii, using a mobile NMR core scanner which operates within a nearly homogeneous static magnetic field. Because small pore sizes are associated with high internal magnetic field gradients, standard methods from NMR logging in the oil industry cannot be applied for accurate permeability prediction. Therefore, a new model theory was developed, which describes the pore radius dependence of the surface relaxivity ρ2 by both an analytical and a more practical empirical equation. Using corrected ρ2 values, permeability can be predicted accurately from the logarithmic mean of the T2 distribution and the physically based Kozeny-Carman equation. Additional core plug measurements of structural parameters such as porosity, permeability, specific inner surface area and pore radius distributions supported the NMR results.